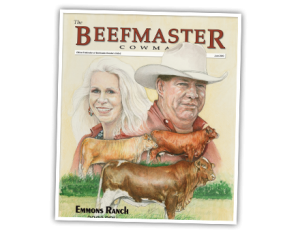 Emmons Ranch, located near Fairfield, Texas, has raised Beefmaster cattle since 1975. 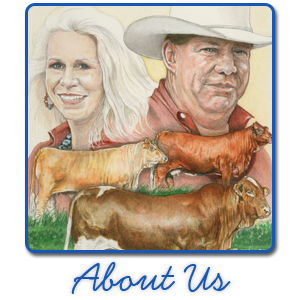 For more than 40 years, owners Steve and Cindy Emmons have focused on breeding high quality Beefmaster cattle with performance and eye appeal. 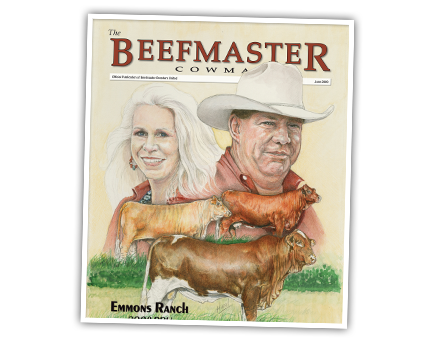 Their dedication has resulted in the Emmons brand known as a flagship operation among Beefmaster cattle breeders. Cattle are selected for visual quality – a strong top and good structural soundness. 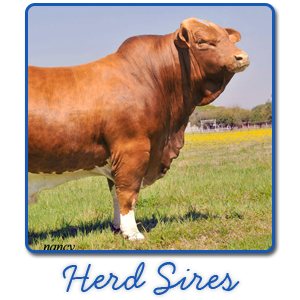 They offer both high quality red and black Beefmaster bulls that are big-topped, heavy muscled, and designed to be profitable for their customers. 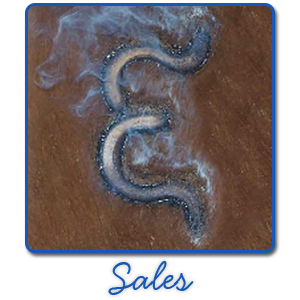 Emmons Ranch produces bulls for the commercial cowman, seedstock for other Beefmaster breeders, and show cattle. Their performance testing and data programs back up the quality of their cattle. Emmons Ranch has produced 7 National Champion Bulls, 2 Reserve National Champion Bulls and 1 National Performance Champion Bull. Along with these bulls, they have produced 6 Miss Beefmaster America winners, 4 Reserve Miss Beefmaster America winners, and 1 Miss Beefmaster America performance Champion winner. Emmons Ranch, named Breeder of the Year multiple times, also sells Beefmaster show heifers to junior exhibitors. When you select Emmons Ranch Beefmasters, you’re not just buying a name – but a program. We have built our herd with honest, predictable, and profitable Beefmaster cattle that are backed by more than 40 years of experience.